Situated on a central plaza at Princeton University and connecting major destinations, the Bridge of Equality marks the contested legacy of Woodrow Wilson. Wilson is remembered for his diplomatic contributions but also held profoundly racist views. The concrete bridge begins at ground level and glides above the reflecting pool, making the existing fountain accessible to every visitor. Lined with quotes from civil rights heroes, the bridge lifts up the voices of people of color silenced by Wilson’s policies. 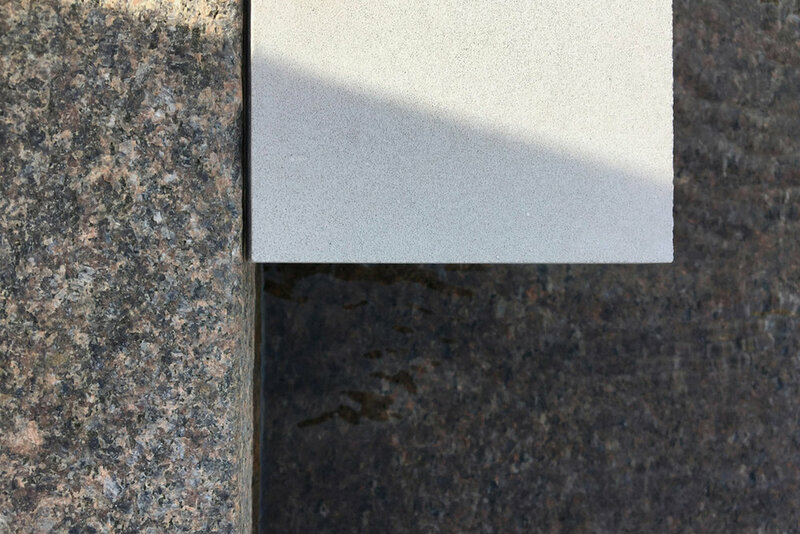 While the existing stone of the plaza conveys a sense of history and tradition, we were drawn to fiberglass-reinforced concrete that would pair well in terms of texture and color. Concrete is inherently a modern material because it is malleable and flexible before it hardens. It would be formed off-site using 3-D printed foam scaffolding and plexiglass formwork for typography, ensuring a 5mm precision of the overall curve and 1mm for the letters. It would be assembled on site by stone setters working with cranes. The gently-ramping bridge has been designed to regard ADA standards as opportunities rather than constraints. The bowl shape ensures that the bridge is always close to the ground and safe without handrails. The curbs serve three functions: to alert visitors to the edge of the bridge, to carry typography, and to act as a bench where people can sit and enjoy the water.